Friday, March 20, also known as Spring Equinox, marked the first day of spring. With the change in the seasons comes a change in the Council's agenda. On Thursday, March 12, we concluded our last round of performance oversight hearings on District government agencies. Next Thursday, April 2, Mayor Muriel Bowser will submit the proposed budget and financial plan for the upcoming fiscal year. The Council's eight committees will review each agency's budget and ensure we are efficiently investing in the highest quality city services and personnel. I will be calling upon you to participate in hearings and submit testimony on any line item that you believe impacts Ward 5. After all, government works best when everyone is engaged, including advocates, business owners, organized labor, and above all, the residents. To learn more about the Fiscal Year 2016 Budget and the Council's schedule of public hearings, please visit http://dccouncil.us/budget/2016. With deadlines for filing District and federal income taxes approaching, Attorney General Karl A. Racine cautioned District residents to be on the lookout for scams common during tax season. In particular, he singled out “Six Scams to Avoid” – fraudulent schemes that consumer-protection experts in the Office of the Attorney General (OAG) note often crop up during tax-filing season. For more information, please visit http://oag.dc.gov. The Office of Tax and Revenue (OTR) mailed Tax Year 2016 assessment notices to all real property owners in the District of Columbia. A total of 194,394 taxable and exempt real properties have been reassessed to reflect current market values as of January 1, 2015. Property owners receiving new assessment notices will not be taxed on the new assessed value until March 2016. 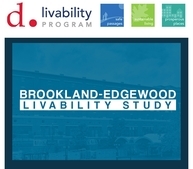 District property owners who believe their proposed 2016 assessment does not reflect the market value of their property are encouraged to file an appeal on or before April 1, 2015. The appeal process begins when a property owner submits a First Level Appeal Application to OTR. 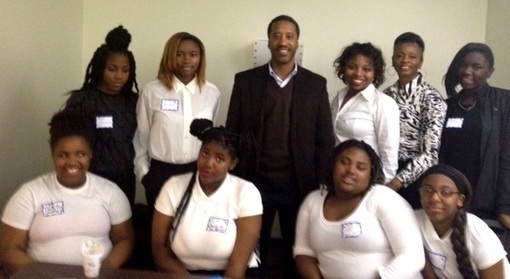 For more information, please visit http://otr.cfo.dc.gov. 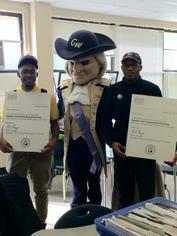 Please join Councilmember McDuffie in congratulating KIPP DC's Bruce Beuzard IV and Matthew Jenkins, and McKinley Tech's Byron Fullerton for receiving a Stephen Joel Trachtenberg Scholarship to attend George Washington University! The scholarship covers tuition, room and board, books and fees at the university for a total of four years. Since 1989, George Washington University has committed over $22 million to the scholarship program for more than 150 students. 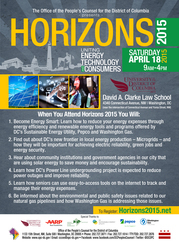 Horizons 2015 will feature many dynamic speakers, food and prizes and, most importantly, will be a forum for District residents to raise their questions, concerns and ideas regarding DC’s energy future. The event will take place on Saturday, April 18, from 9:00 AM to 4:00 PM, at the University of the District of Columbia's David A. Clarke School of Law (4340 Connecticut Avenue, NW). For more information, please visit http://www.horizons2015.net. Pepco is providing 1,500 free trees to customers in Maryland and the District of Columbia through the Energy-Saving Trees program. It’s the fifth year of the Pepco-Arbor Day Foundation partnership that provides two trees per household while supplies last. This year, the free trees are more developed as they’re lightly branched and 2 to 4 feet in height. The Energy-Saving Trees program helps customers conserve energy and reduces household electricity bills through strategic tree planting. For more information, please visit www.arborday.org/pepco or call 1-855-670-2771. Mayor Bowser will share her #freshstart plan for a pathway to the middle class on Tuesday, March 31, from 5:30 to 7:30 PM, at the Historic Lincoln Theatre (1215 U Street, NW). For more information, please visit http://mayor.dc.gov/.